At the finish line. 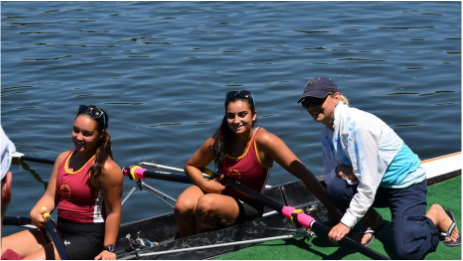 L to R: Julia Nelson, Maya Bose and Coach Oksana. 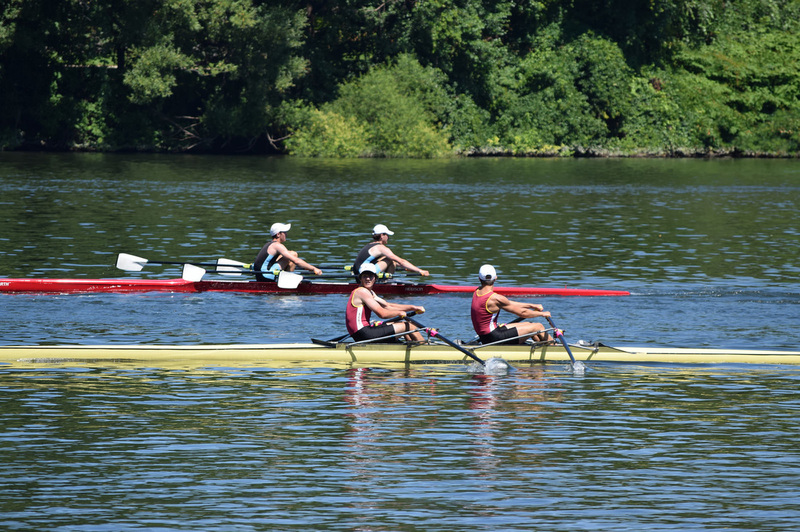 The Rowers did incredibly well at the Philly Youth Regatta, a lot of first place finishes in the flights and a terrific standing over all. The girls Double J16 (Julia Nelson and Maya Bose) were 1st in their flight and 4th overall out of 35 boats. This is the first time the girls had ever raced together. 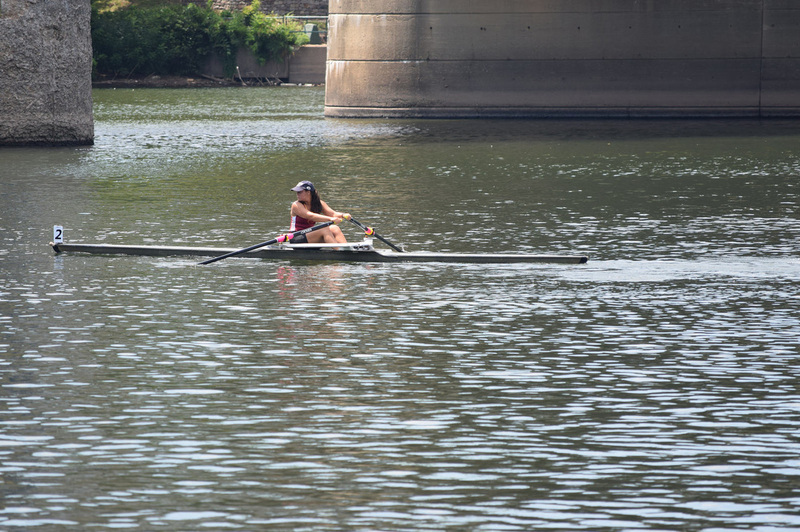 The Girls single J16 (Maya Bose) finished 1st in her flight and 5th out of 22 boats. 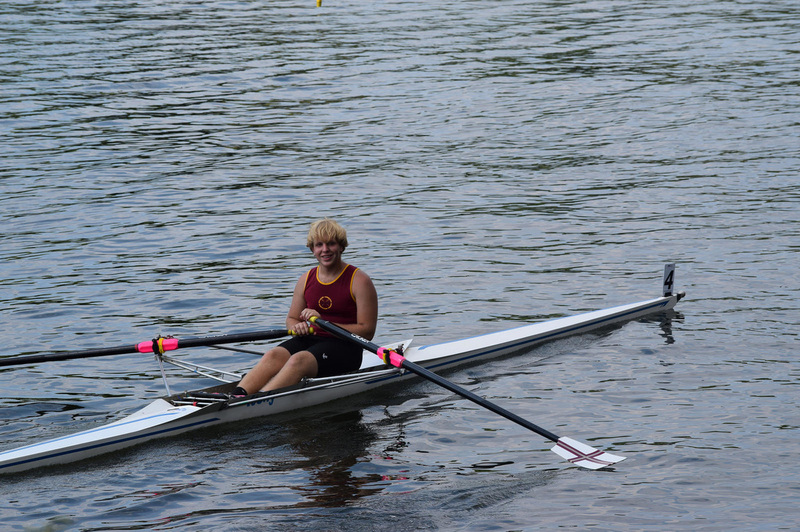 The Girls Single J16 (Tori Hommes) finished 1st in her flight. The Boys single J16 (Reece Mc Nichol) finished 1st in his flight. The Boys single J18 (Kyran Christopherson) finished 2nd in his flight. 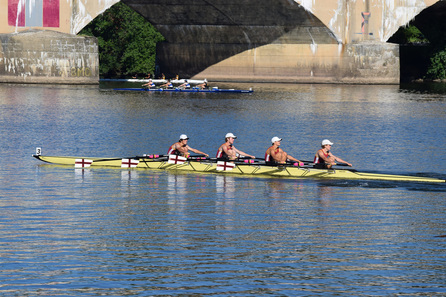 The Boys Quad (Adam Donlan, Kyle Woolley, Reece Mc Nichol and Ryan Sullivan), finished 1st in their flight and 5th out 36 boats. Thanks to Kim Woolley (Kyle’s Mom) for these great photographs.